I have had a Michael Todd Soniclear on my wishlist for awhile now. It is the world's first antimicrobial sonic skin cleansing system. I am so happy to say that I am now a Soniclear owner and it is A-M-A-Z-I-N-G! 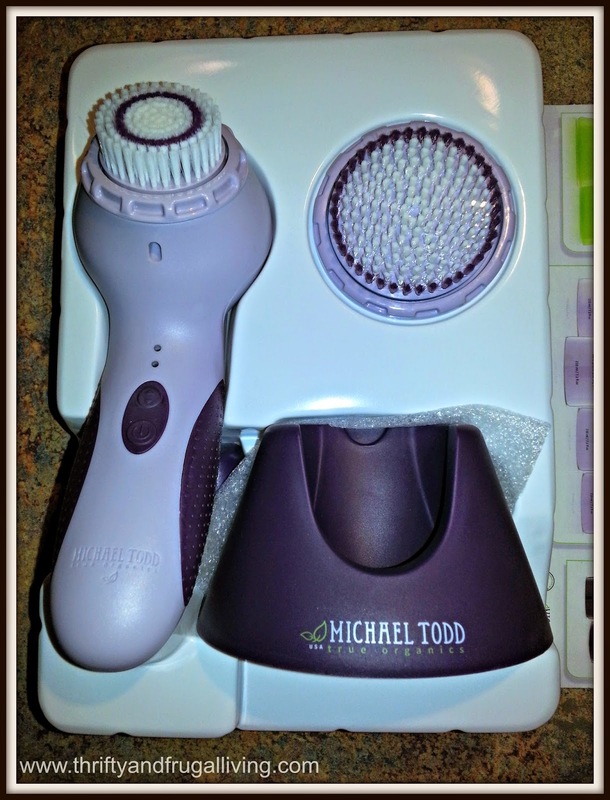 This Michael Todd Soniclear has 6 different cleansing speeds with up to 300+ micro-massage movements per second. It comes with two heads: one for the body and one for the face. Soniclear is cordless and waterproof. This means that you can use it in the shower! 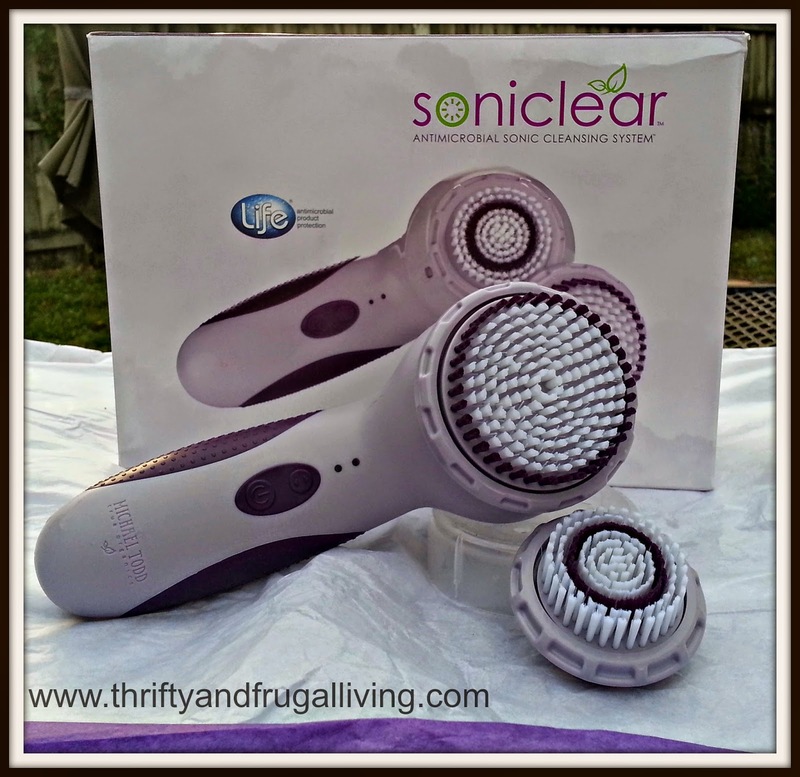 I have been using my Soniclear every day in the shower and to cleanse my face at night before bed. I have used it with various shower gels, soap, shaving gel (to exfoliate before shaving) and of course, a Michael Todd cleansing mask and cleanser. The heads are really easy to change. You just have to twist and pop them off. 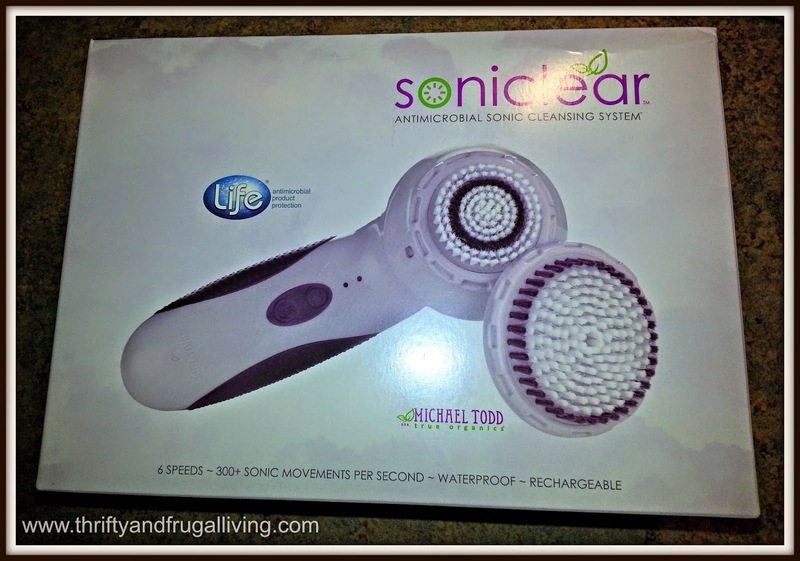 I definitely feel like my skin is getting a deeper cleanse with Michael Todd Soniclear. It makes my night time routine much quicker. I just squeeze out my cleanser onto the wet Soniclear head and turn it on. After 60 seconds the Soniclear beeps to tell me my face should be clean enough. I then rinse my face and rinse the Soniclear head. I moisturize my skin and then I am done. The whole process takes less than 5 minutes. I also really love using it when I shave because my legs come out the smoothest that they have ever been. It makes them feel amazing. Soniclear is really easy to charge too. All you do is drop it into the charging station. You don't have to plug it in or full with batteries. The charge also lasts a really long time. I fully charged my Soniclear when it first arrived and I have not had to charge it again yet. I have used it a lot! I really have nothing bad to say about Michael Todd Soniclear. It is an amazing beauty tool and I am so happy that I now own one. Soniclear retails for $150 (Hint: see their website for a special Cyber Monday deal that is still going on to buy it for $90! That is 40% off!! ).